We cater to our customers with services like 24-hour towing for all vehicles including Small cars to Large Fleet. We handle all insurance claims with any insurance companies and even offer FREE rental cars if your insurance company doesn’t cover a rental car! 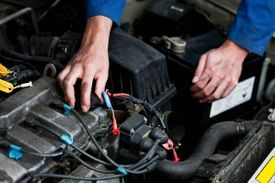 Wherever and whenever your car or truck needs service we are here for you!